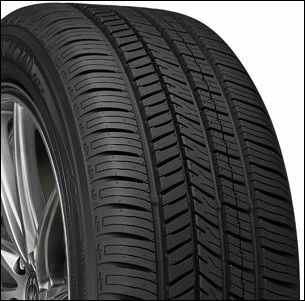 Our exclusive tire, provides excellent all-season traction and a long-lasting, quiet ride. 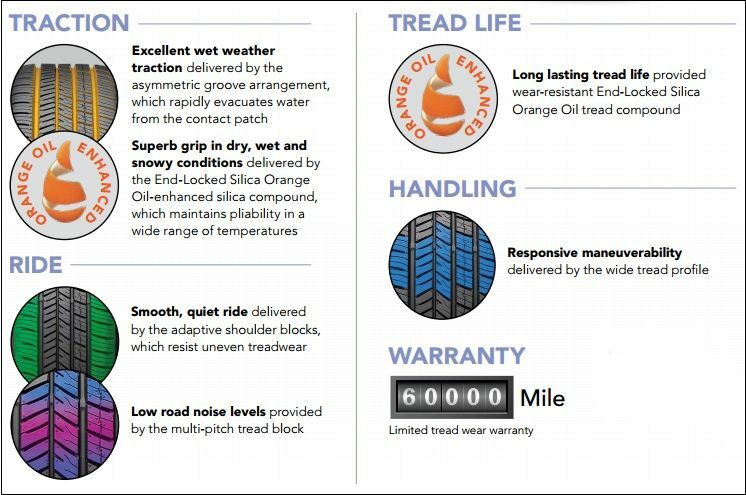 The asymmetric groove arrangement and End-Locked Silica Orange Oil tread compound deliver traction in wet and wintry conditions for confident performance, no matter the weather. The wide tread profile provides relentless grip and responsive handling in dry conditions, and the adaptive shoulder blocks and multi-pitch tread pattern deliver a smooth, quiet ride. The Yokohama YK740 GTX™ is a great choice for a wide range of vehicles, including passenger cars, crossovers, and minivans. Now through Saturday, September 24th, 2016, receive a $70 Visa® Prepaid Card by mail when you purchase a set of 4 Yokohama YK740 GTX tires. Now through Saturday, January 28th, 2017 receive a $70 Visa® Prepaid Card by mail when you purchase a set of 4 Yokohama YK740 GTX tires! See the links below for additional details.